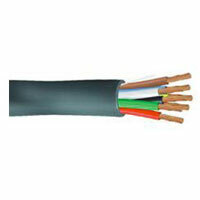 Avail from us the PVC Insulated Multi Core Flexible Cables that are suitable to be used for varied electronic circuits. By providing PVC Insulated Multi Core Flexible Cables in diverse specifications and grades, we are meeting diverse requirements of the clients successfully. The clients can avail the PVC Insulated Multi Core Flexible Cables from us at the most affordable price.